Size: 16 x 7 inches; Diameter is 0.12 inch; 40 pack. 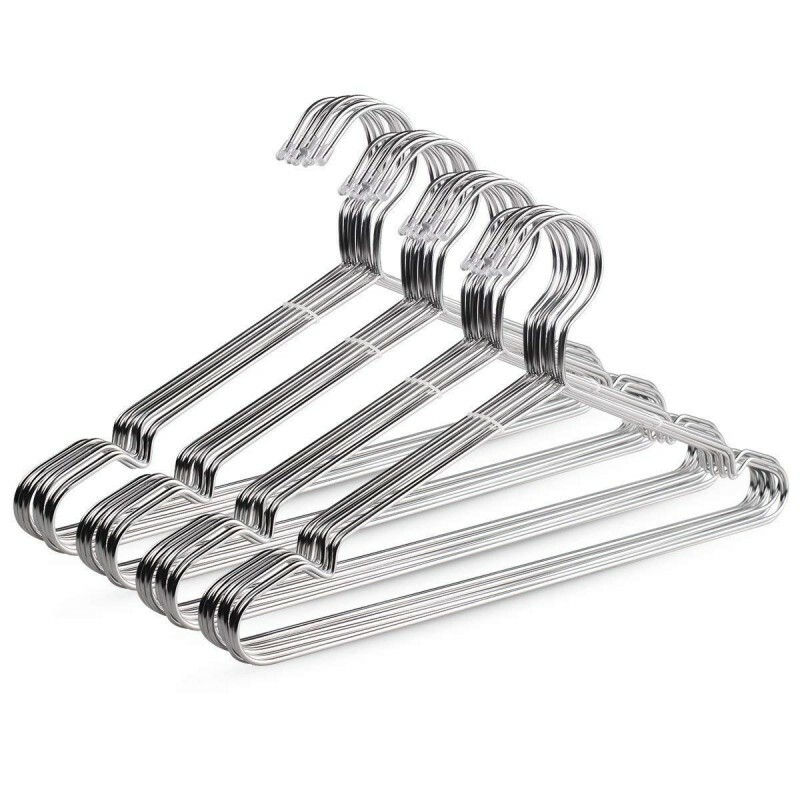 Heavy Duty: The stainless steel clothes hangers are stronger than plastic ones, far from rust, more durable, and not easily deformed. Strong enough to hold your heavier garments and preserve the shape of your garments. 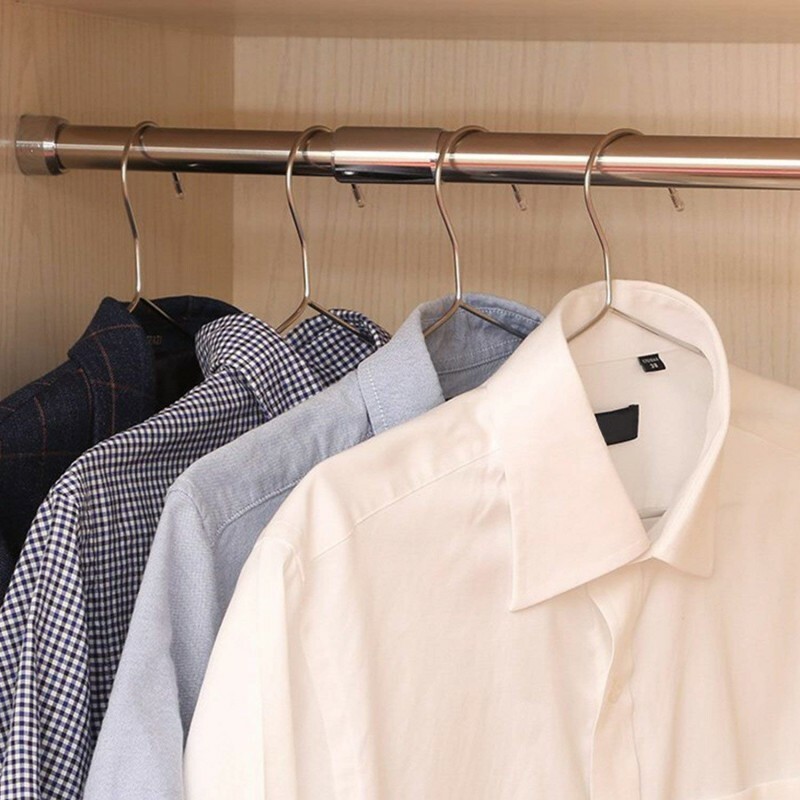 Space-Saving: Keep your closet in order and save more space. 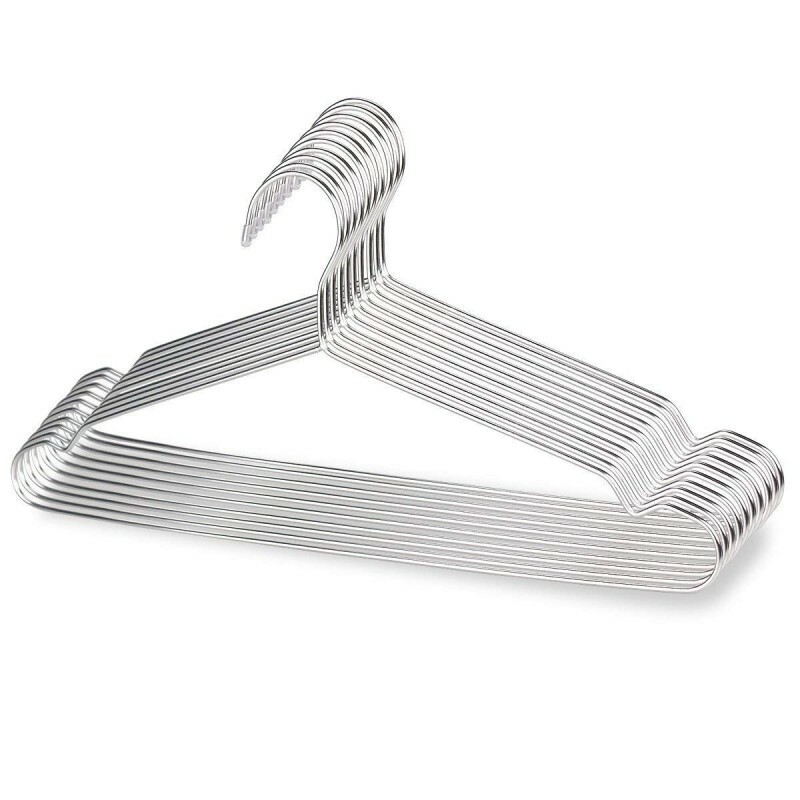 Prevent Falling: The radian of the hook prevents hangers from sliding off to the floor. And the special groove design prevents clothing from falling. 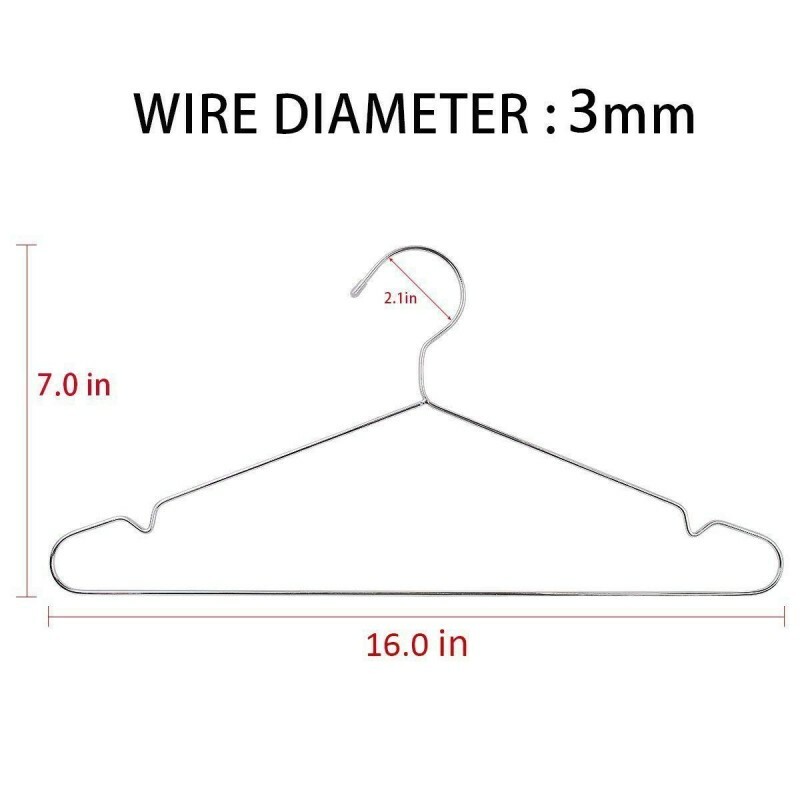 Protection Design: The hanger has plastic cover design, it will not scratch your hands and clothes. We aim to provide high quality products to customers and improve the quality of life for customers. If you have any questions about our products, please contact us. We'll try our best to help you. 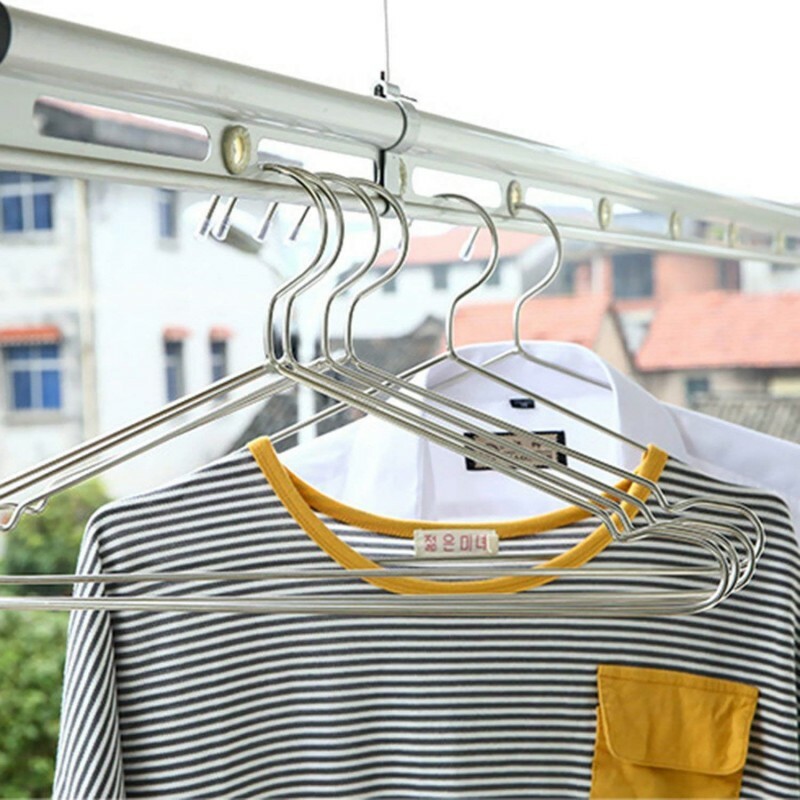 Compared to plastic and wooden clothes hangers, stainless steel clothes hangers will be more environmentally friendly, more durable and water proof. 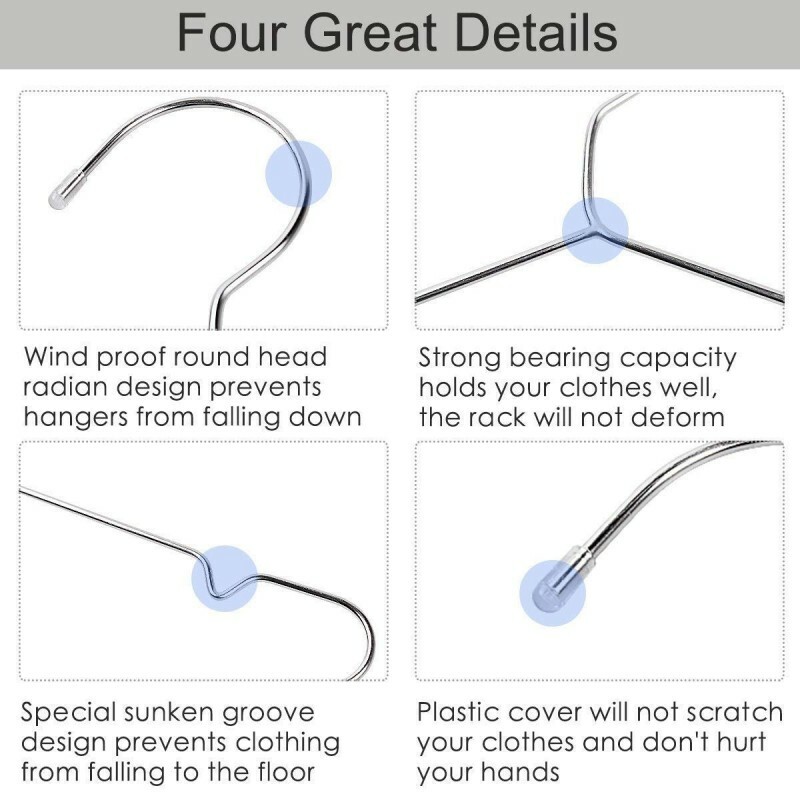 The design of the hangers are for the convenience of our customers, the top of the hanger hook radian let hanger is not easy to fall, also the groove design let the clothes is not easy to fall, the top of the hook with a plastic cover, will not break your lace-type clothes and don't hurt your hand. It can be used in the bathroom, bedroom, closet, cloakroom, and laundry room and clothing store. 16 x 7 inches; Diameter is 0.12inch. These are the hangers I was looking for: sturdy, metal, and not super expensive. However, it appears that I received an item that was previously returned as the packaging was ripped off, and one of the plastic endocarps of the top of the hangers was missing. However, at the end of the day it is a hanger, and none of the damage was structural, so I can still use them nonetheless.